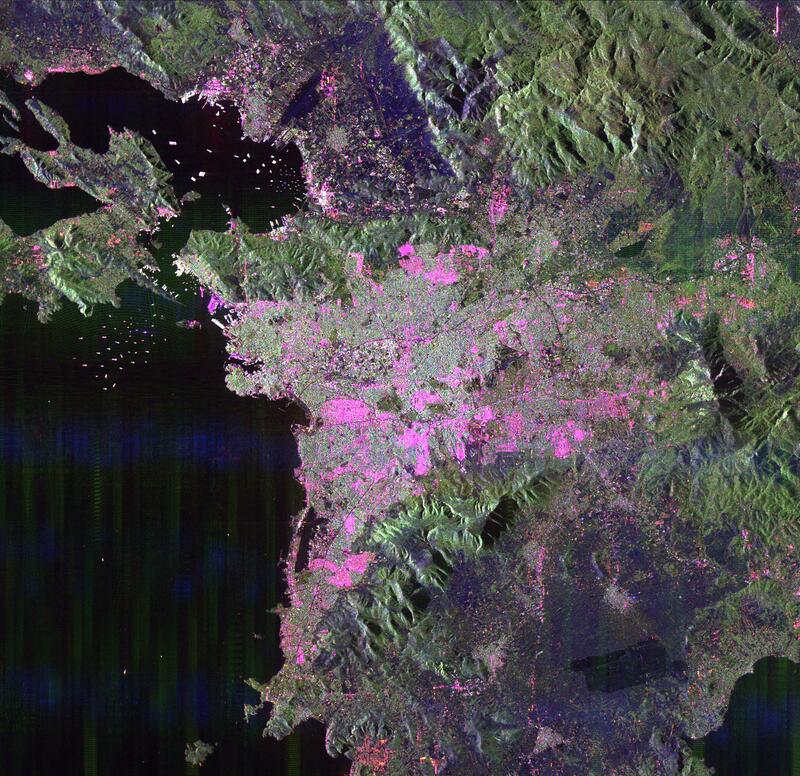 This space radar image of Athens, Greece, shows the sprawling, modern development of this ancient capital city. 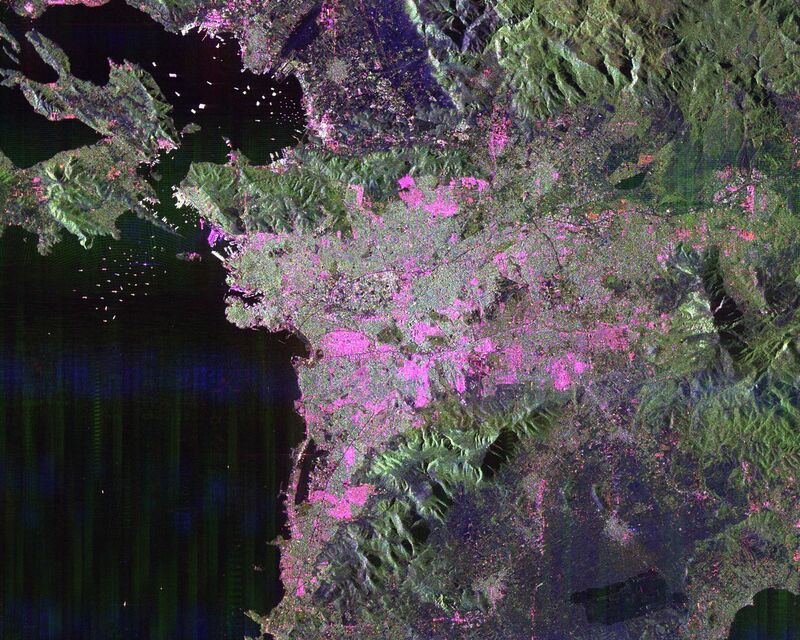 Densely populated urban areas appear in shades of pink and light green. The Acropolis the dark green triangular patch in the center of the image. Archaeological discoveries indicate Athens has been continuously occupied for at least the last 5,000 years. Numerous ships, shown as bright dots, are seen in the harbor areas in the upper left part of the image. 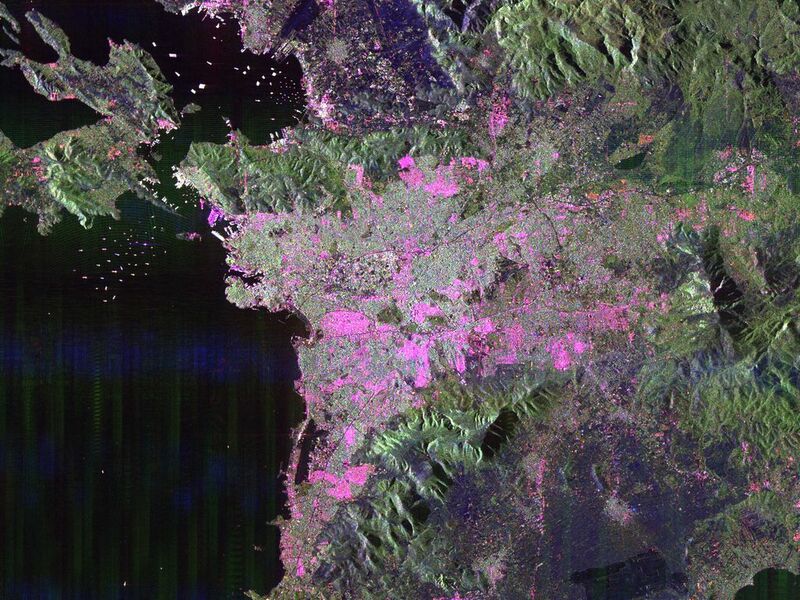 The port city of Piraeus is at the left center. This image is 45 kilometers by 45 kilometers (28 miles by 28 miles) and is centered at 37.9 degrees north latitude, 23.7 degrees east longitude. North is toward the upper right. The colors are assigned to different radar frequencies and polarizations are as follows: red is L-band, horizontally transmitted and received; green is L-band, horizontally transmitted and vertically received; and blue is C-band, horizontally transmitted and received. 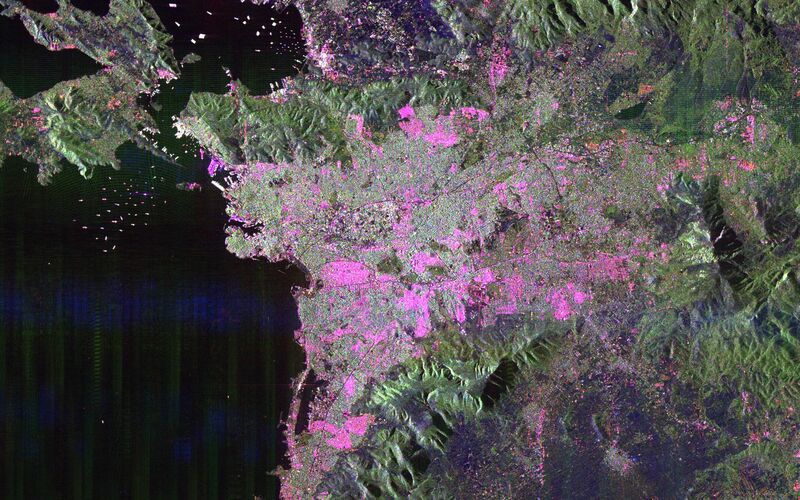 The image was acquired by the Spaceborne Imaging Radar-C/X-band Synthetic Aperture Radar (SIR-C/X-SAR) on October 2, 1994 onboard the space shuttle Endeavour. SIR-C/X-SAR, a joint mission of the German, Italian and United States space agencies, is part of NASA's Mission to Planet Earth program.